There are 44 Printing web directory related resources in this category! Provides postcard printing and associated services. Offers a wide range of printing services including full colour printing of leaflets, folders, posters, business printing, labels, digital printing and many more services including graphic design. Entitled to bring prospective customers an affordable way of getting their printing products done, at an incredible low price. 55printing.com already carry great prices, but at Cheap55Printing.com you get an additional discount on top of all the already low prices for business cards, flyers, brochures, postcards, EDDM printing flyer and more. A company that carries more than two hundred presentation folders in stock, with a substantial variety of custom pocket folders on sale. Offers many printing services for businesses throughout the U.S. As a custom print shop, they offer everything from graphic design, business card printing, to vehicle wraps. Provides printable and editable certificate templates that includes gift certificate templates, award certificate templates and marriage certificate templates. These templates are designed in Microsoft Word that makes them easily editable and printable. A corporate gifts supplier in Singapore. The company prints and also sources for gifts for events, companies and schools. Offers digital printing for graphic designs and signage printing for all types of businesses; based in Toronto, Ontario, Canada. UK suppliers of printed flags, banners, bunting, stickers, display signs, feather flags, flagpoles and much more. Services include creative design, branding, print and point of sale manufacture. Online paper suppliers: printer, copy, inkjet, laser, digital paper and a large range of stationery products. Online printing company offering custom business forms as well as full color printing. Provider of on-demand security printing solutions. They have partnered up with HP to offer enhanced HP printers and consumables by featuring HP toners and blank check stock. Online printing service specializing in postcards, business cards, brochures, posters and more. Founded in 1991, the Acme Design Company focuses on humorous adds and prints, rather than the regular standards. Samples of designs and product labels on the website. Book cover design firm and book interior design for self-published authors. Contact page and quotes available on website. Manufacturer of name badges. ID, staff, re-usable badges & more in the UK. Providing bespoke machine-printed badges to a variety of clients ranging from small to large enterprises, the company is well positioned to help you stand out from the crowd. A company based in Charlotte, North Carolina manufacturing binder products ranging from standard vinyl and poly binders, to clear view and three ring binders to custom printed vinyl binders. Exhibition stands and graphics specialise who provide exhibition solutions worldwide for conferences and exhibitions. An Australian managed print provider that offers printers, copiers and software. Diablo Custom Publishing is a printing and publishing company. Information about the services they provide, contact information and testimonials are available on their website. A UK East London based company specializing in screen printing and digital vinyl transfers tame day service T-shirt printing, polo shirts, sweatshirts and more. UK-based provider for exhibition stands, POS displays and portable stands. Their outdoor display products include flags, banners, post banners, Foamex and panel holders. A variety of portable trade show displays are available at Benchmark Imaging including portable pop up displays, retractable and non-retractable banner stands, outdoor displays, pop up replacement panels and more. Faraci Design and Graphic Services Ltd.
Design, printing services, web services and photography. Request quotes and visit the FAQ section for more information on services. Offers high-quality fabric printing for tradeshows including fabric backdrops, podium banners, fabric banners, tablecloths, display banners, and more. Logo designs for corporations, businesses and companies, web development services, graphic design and identity design in Melbourne. Users can promote their cafe, business or event with personalized sleeves branded with your logo or message. Book covers design, general book design and general graphic design services. The website includes testimonials, pricing and a testimonial list. Specializing in medical labels and labels for the healthcare industry. Book interior and cover designs. The website offers examples in categories of printed works like architecture, gardening and craft, literary magazine and general interest works. Any internet web directory is filled with companies that want to help your company develop a paperless office. The idea behind a paperless office is that your company invests in workflow software that moves important documents through a pre-determined approval process, and the final approved document is available to anyone that is authorized to see it. The problem with a paperless office is that it is simply not realistic. There will always be the need to have printed materials and people within the company will always need to have a hard copy of a document in order to do their job properly. But printing can become a huge expense to any company whether it be printing done by an outside printing company, or the printing done within the company. There are some cost cutting measures that can be taken to reduce the cost of printing for your company. As unpopular is it may be to reduce the cost of printing within the company it will be necessary to institute a policy that bans personal printing of any kind. One of the ways to do this is to reduce the number of printers available for printing, and put those printers in an area that can be monitored. 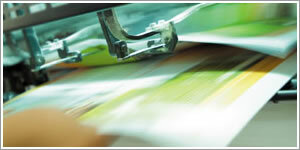 A reduction or elimination of personal printing will help to reduce costs to the company significantly. Reducing printing in order to reduce your company`s costs would be an option, but remember that printing a copy of certain documents is essential because you never know when you will need it in order to prove something. Moreover, since there are thousands of printing devices, you can choose the ones that use less ink if you aim to reduce costs. In order for your office to be clean and not covered in papers, you could use archives although it is extremely hard to find whatever document you need in a massive archive. You could as well go for those printing devices that use the laser technology because they consume less ink. Although it is not very cheap to refill the printing devices once they run out of ink, it is still the best option you have when it comes to printers. They are fast and save both energy and ink so your costs will be considerably reduced. This web directory allows you to present your offers whether you aim to sell printing machines to major companies or to just print all the documents that they need. Printing your documents inside your company can turn out to be stressful sometimes because for sure you could use your time other way than printing. There will always be hard copy forms each company will need to use to do business every day, and it would be significantly cheaper to have those forms printed by an outside printing company rather than having them printed in-house. Any printing that can be done by an outside source is going to save the company money and help reduce the overall printing costs to the company. When printing is done by another company there is no drain on your company's energy resources, and the printing supplies are not used either. This can help to reduce costs and put some money back on your company's bottom line.